I started with the service in April 2017. Prior to that I was the Director of Safekids New Zealand (Aotearoa) for 14 years. I have a passion for people and in particular, advocating for the safety and well-being of New Zealand children. I began my career with a qualification in social work which led on to a career in public sector management. With a Masters in Public Policy, I have held senior management and leadership roles in both community-based services and government organizations. I have also served on several elected boards and internationally convened committees. My strengths are in the delivery and implementation of legislative- and regulatory change-practice within the health and welfare sectors. When I’m not campaigning for the health and safety of New Zealand children, I enjoy travelling and spending time with my 6 grandchildren. I am a qualified and experienced counsellor, a full member of the New Zealand Association of Counsellors and an Associate Member of LEADR, the Australian Association of Dispute Resolvers. My experience and personal qualities enable me to provide a warm and empathic environment for both adults and adolescents experiencing life challenges. I have a passion for working with people believing we are all meant to belong and connect, to love ourselves and others and to find meaning. I enjoy working with people of all ages, ethnicities, backgrounds and family situations. People who need to be truly heard and supported as they find meaning, grow as individuals and learn to evolve beyond and deal with unhelpful thinking. People who want to feel met in their emotional experience and better equipped to embrace change and meet challenges. Difficult situations are part of life for everyone. They usually involve interpersonal relationships. Encouraging and nourishing the power within supports the learning of new approaches that support well-being and a flourishing existence. This is a confidential, safe, nurturing environment. I encourage and work with you so you’re equipped to be consciously engaged with life and to take a holistic approach to your healing and growth. 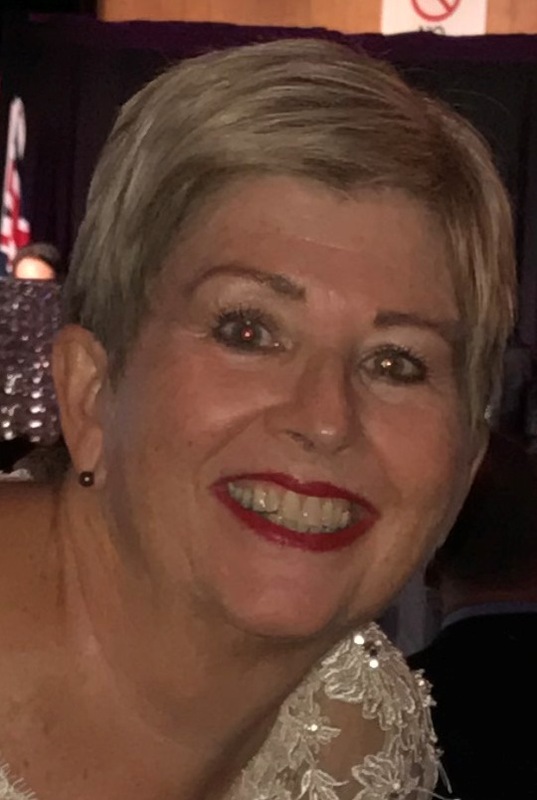 Rose has been a member of NZAC since 2000. 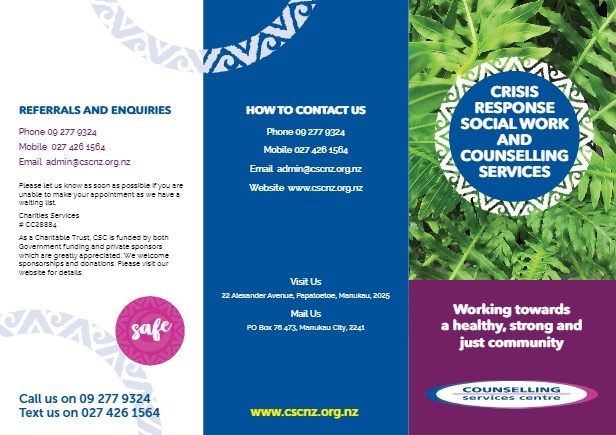 Her counselling work has always been in South Auckland and she works with all age groups, genders and cultures. She prefers to work from a client centred base model but uses aspects of other modalities in a creative eclectic way. Rose worked as a Hospital Play Specialist for 15 years and brings experiences and techniques acquired from that time into her working, she has also worked in a volunteer capacity at Totara Hospice. Her current position is Crisis Counsellor at Counselling Services Centre NZ. She provides counselling under EAP schemes and MSD. I have been a counsellor since 2007 and I joined Counselling Services Centre in September 2017. I have a Master’s degree in Counselling with Honors from the University of Auckland. I work with a person-centered approach, with both short term as well as long term goal focused therapies. I use EMDR (Eye Movement Desensitization and reprocessing), a tested and evidence-based intervention, Art-therapy and Mindfulness-based therapies as my main modalities. I have diverse experience in working with clients of all ages, cultures and genders. I specialize in trauma work and sensitive claims counselling. In addition to being a service provider for ACC, I also conduct supported assessment for ACC clients. I have experience in working with issues related to depression, anxiety, stress, grief and loss as well as relationship and interpersonal issues. Alongside counselling, I also provide clinical supervision. I have qualifications and experience in child and adolescent mental health, counselling and am a certified neuropsychotherapist. I am also a full member of the New Zealand Association of Counsellors, the International Association of Neuropsychotherapists and am registered with ACC to provide sensitive claims counselling. I have worked at Counselling Services Centre since May 2011 with a diverse range of children, young people, adults and families. I have also worked for a number of years as a school guidance counsellor and have experience working with students from Year 1 to Year 13 and their families. I am passionate about the well-being of children and young people and believe that, given a respectful and supportive environment, counselling can help clients overcome challenging experiences. Using a person-centred approach to counselling a range of methods are used, such as Neuropsychotherapy, Cognitive Behaviour Therapy (CBT), Sand play and Play therapy, as well as other creative interventions. Areas of interest include those commonly affecting children and young people such as abuse and trauma, self-harm and suicide issues, behavioural and emotional concerns, grief and loss, depression, anxiety and other mental health issues. Tēnā koe, Ko Ngāti Kahu tōku iwi i te taha o tōku whaea. Ko Diane Wong tōku ingoa. I have worked as a counsellor for Counselling Services Centre since 1989, primarily with survivors of sexual abuse. I am also available to work with any other personal and/or workplace issues. I am a member of NZAC and I am an ACC approved counsellor. The majority of my training has been gained through Polytechnic courses and Continuing Education courses at University. I have an eclectic style of counselling am comfortable working with people of all nationalities, both genders. I believe that on-going training is an essential part of being a counsellor, but know that a lot of my learning and understanding have come from the wisdom and courage of those I have worked with. I have lived in South Auckland for over 40 years and am married with 3 adult children, their partners and 5 beautiful Mokopuna. I am a full member of ANZASW and I am a registered Social Worker with Social Workers registration Board. I have a current Annual Practising Certificate. I completed my Diploma in Social Work from Waikato PolyTec in 1998. I started my Social Work career at Waikato Hospital in many different wards and Community Health. Then I moved on and worked at Oranga Tamariki (CYF) for 12 years. I also worked for SHINE- domestic violence prevention and Refugee as Survivors- doing assessments for Immigration resettlement purpose in New Zealand. I use strengths based practice and whare tapa wha model in my work with people. I have extensive experience working with children and their families from all cultural backgrounds. 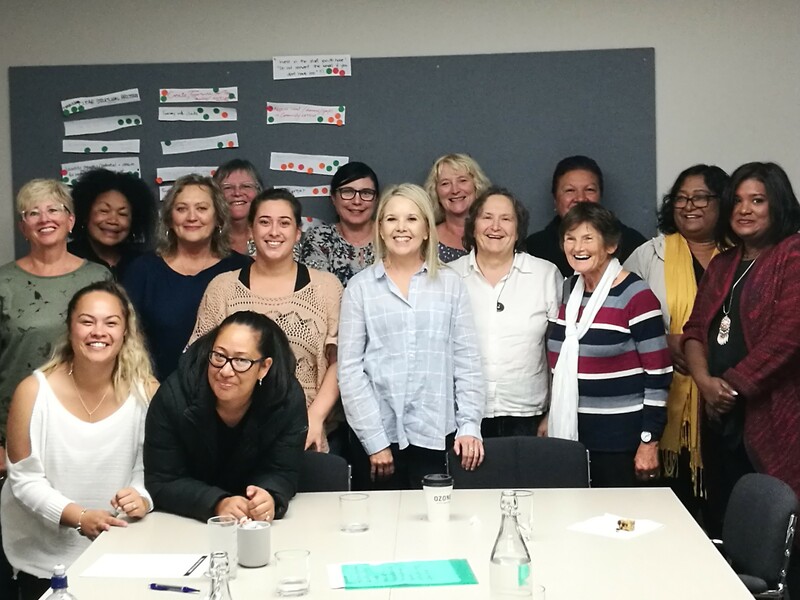 Kia Ora, I am a counsellor because I like supporting people to find their own strengths and potential and be able to have a fulfilling life. I started to do this work about 30 years ago after originally training as a Social Worker. I have a Masters in Counselling from Massey University and have done and continue to do as much professional development as I can. I have been an accredited ACC counsellor for approx. 20 years and I have had relationship work for the Family Court for about the same length of time. Both organisations have changed significantly in the last few years and I have hung in there! I have a vision-impairment myself and so am aware of disability issues. I have had professional and personal experience with mental health and so have developed confidence and experience in this area. My husband and I have 7 adult children and 13 grand-children, so we have been and still go through the joys and challenges of parenthood. I am proud to be part of the staff at the Counselling Service Centre where I have worked for 12 years. The welcoming, friendly and supportive atmosphere makes it safe and positive for myself and my clients. I have been with the agency since 1997 and I was part of the counselling team till 2010. After a few months’ retirement I returned as a supervisor, and now hold the position of Clinical Manager. I was educated (PhD in Pastoral Psychology) and trained at Boston University, living in Auckland since Christmas Day 1984. My late husband and I have three grown children and four growing grandchildren. Talofa Lava, I’m Dot Grant and I am of Samoan descent. I have lived and worked in South Auckland most of my life. I am married with 2 adult children and 2 grandchildren. I have been a counsellor for almost 10 years and largely work in the area of trauma and abuse including family, domestic violence and sexual harm / sexual abuse work. I work from a solid strength-based view that relies on the therapeutic relationship as the influencing agent of change. Overall I have an integrated approach to my practice with the intention of working together with clients to find solutions, some relief, better understanding and hopeful change for their lives and their situations. Hi let me introduce myself, my name is Losalia Paulo and I come from a long line of proud Samoan woman and strong Samoan chiefs. I have a strong passion for indigenous cultures, and through my 3 daughters (mixed Samoan/Maori) 8 moko’s and my loving Tane, a love and respect for Te Ao Maori, while standing fast within my own Samoan heritage. Professionally: I am currently working at Counselling Services as an accredited ACC counsellor delivering sexual abuse/trauma counselling 2 days a week. My other time is spent in private practice available for EAP, ACC, supervisee’s & private clients. I hold a bachelor’s degree in counselling, graduate diploma in psychotherapy, advanced certificate in supervision & certificate in domestic violence prevention. I am a passionate advocate for social justice and have a strong commitment for helping people, facilitate healthy, happy lives, the best way possible for them. I am happy when people arrive at their destination of growth, in their own time, and others I will journey alongside to be part of their therapeutic healing. I am proud to be an eclectic counsellor who through my life’s journey can be relatable in many therapeutic approaches, and I always practice culturally responsive, respectfully and sensitive to all the needs of people who present at my door. I spent 8 years working with people from various backgrounds as a Registered Psychologist in the Royal New Zealand Air Force. I joined Counselling Services Centre in early 2018. My focus is on helping clients improve well‐being and resilience, ease distress and resolve crises that may be getting in the way of the life that they want to be living. I like to work together with clients to build a relationship based on trust, honesty and mutual respect. I take a positive approach based on a client’s strengths, at a pace that feels right for them. I practice evidence-based therapies and primarily use Cognitive Behavioural Therapy, Mindfulness-based strategies, and Solution-Focused therapy. I tailor therapeutic needs and goals to the client’s needs. I have approval for ACC sensitive claims counselling work. Colin comes from Calcutta, India. He migrated to New Zealand in 2001. He has worked as a Primary and Secondary teacher in India, in the Middle East and in New Zealand. He completed a Post Graduate Diploma in Counselling from the University of Auckland in 2010, specialising in counselling children and families. He completed the Masters of Counselling from the University of Auckland with research on migrants in 2015. He has completed a Diploma in Applied Addictions Counselling in 2017. He is a full member of NZAC. He is trained and experienced in the use Sand tray Therapy, Interactive Drawing Therapy, Small Figures, Cognitive Behaviour Therapy and Motivational Interviewing. He draws on a wide knowledge of brain development and attachment theory in his work with people. He uses a strengths based approach in his work with people. He has extensive experience working with children, youth and families from all cultural backgrounds.